I hope I can point to this collection without sounding like a shill for the nostalgia-peddling, over-charging swindlers who run Pottery Barn. Their latest evil plan involves teaming up with the American Folk Art Museum and the Shelburne Museum to make a couple of gorgeous reproductions available to the mass market under the title of The Museum Collection. Curse you, Pottery Barn. It is so hard to criticize you when I am drooling over your merchandise. I have gone on record as a critic of the American Folk Art Museum — I think that their collection, which includes both 18th-century needlework and the paintings of Henry Darger, is incoherent* — but they do have some amazing quilts. 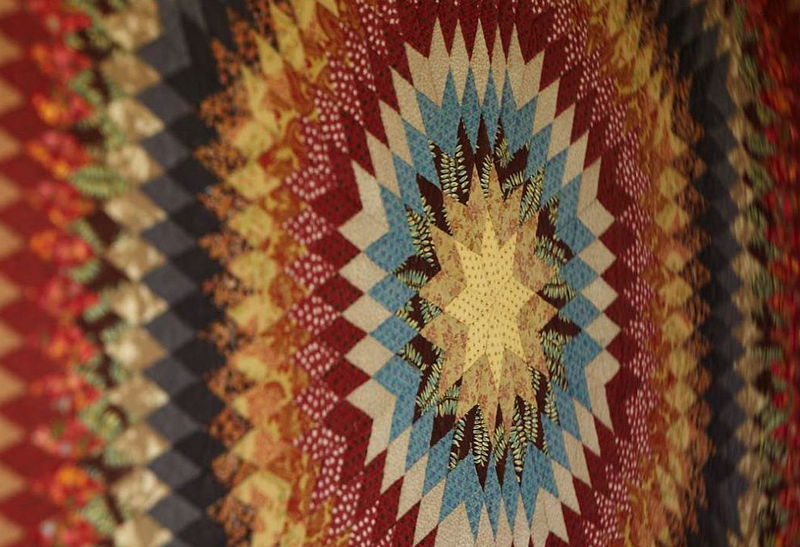 The exquisite Sunburst Quilt that is being reproduced by Pottery Barn was made by Rebecca Scattergood Savery of Philadelphia sometime in the 1830s or 1840s. Pottery Barn's catalog description does not attribute the quilt to its quilter, preferring the passive voice — "The original was crafted near Philadelphia around 1835 . . ." — even though the quilt's authorship is fairly well documented. The Museum Collection also includes two reproductions of hooked rugs from the Shelburne Museum. While I do not find these rugs nearly as appealing as the sunburst quilt, I have enjoyed reading their catalog descriptions. When the catalog says that "hooked rugs are believed to be indigenous to America," I have visions of little woolen squares scampering through the forests or growing on beach plum bushes. * I don't have a problem with Henry Darger — I just think that featuring ordinary handicrafts of the 18th-century alongside 20th-century "outsider art" tends to encourage a the modern viewer to perceive the 18th-century objects as idiosyncratic, rather than as the mainstream productions of an historical era. I hope the Shelburne Museum is getting a big cut of the profits!